Lieutenant-General, Hero of Ukraine Mykhailo Zabrodsky became the new commander of the Anti-Terrorist Operation (ATO) forces in Donbas. This was announced by Speaker of the Defense Ministry on ATO Andriy Lysenko in a comment to Liga.net. According to Lysenko, Zabrodsky's appointment is connected with the scheduled rotation in the Donbas conflict area. Lysenko also explained that now there are only two sectors in the Donbas conflict zone. From now on, the Donetsk sector of the front is divided between two flanking sectors - Luhansk and Mariupol. Earlier, Lieutenant-General Oleksandr Lokota, First Deputy Commander of the Land Forces of the Ukraine’s Army held the post of the ATO forces commander. Leutenant-General Mykhailo Zabrodsky is commander of the landing and assault troops of the Ukrainian Armed Forces, Hero of Ukraine. 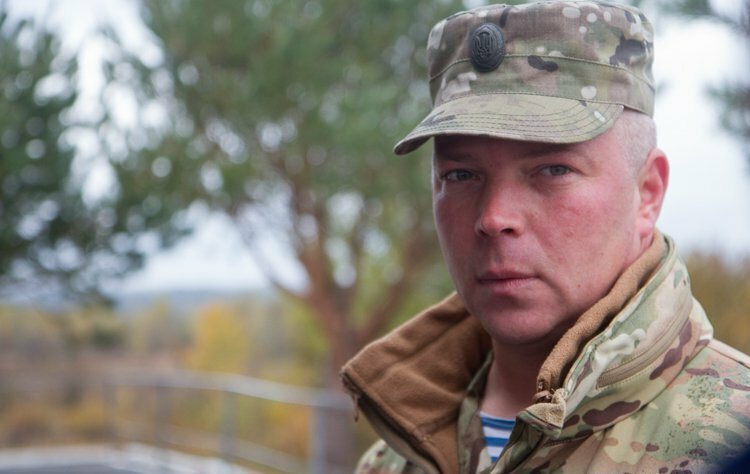 Zabrodsky planned assignments to units when blocking Slavyansk and Kramatorsk. Also, under his leadership, the 95th Separate Airmobile Brigade of the Highly Mobile Airborne Forces succeeded in capturing and holding in a short time, without losses an operationally important point - Mount Karachun. In April 2014, under his leadership, the combat equipment of the 25th Separate Airborne Brigade, captured by militants in the town of Slavyansk, was taken back. He has the title of Hero of Ukraine, the Order of Bohdan Khmelnytsky, the Order of Danylo Halytsky and other medals and awards. As it was reported earlier President Petro Poroshenko handed keys and order for an apartment to Volodymyr Zhemchugov and his wife Olena Zhemchugova. The Head of State emphasized the importance of the extremely principled position of Volodymyr Zhemchugov regarding the restoration of Ukraine's sovereignty, territorial integrity, and independence. “The whole country must know you and your story. You are a true Hero of Ukraine. The future generation of Ukrainian patriots must be raised on your example,” the Head of State noted. The President also said that he would instruct the Ministry of Foreign Affairs to involve Volodymyr Zhemchugov in the international trips more actively so that he would be able to communicate the truth about what he had endured.